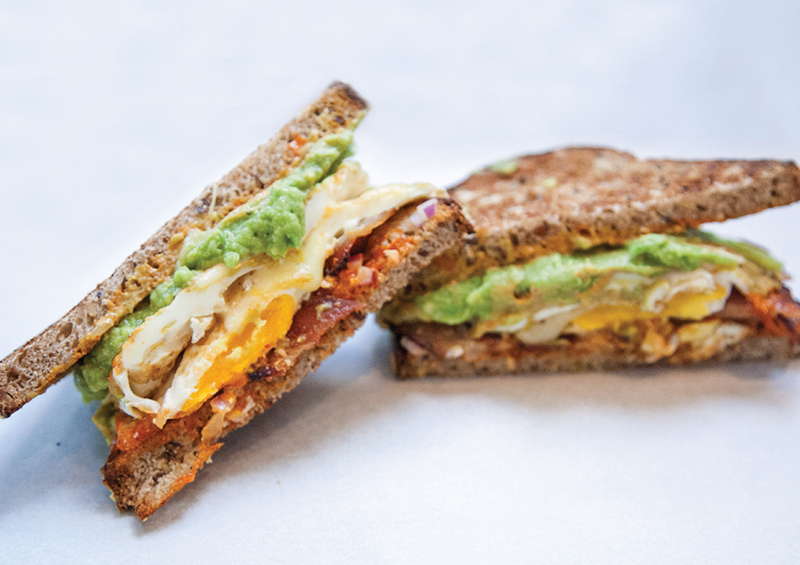 Boston’s Best Breakfast & Lunch Sandwiches! 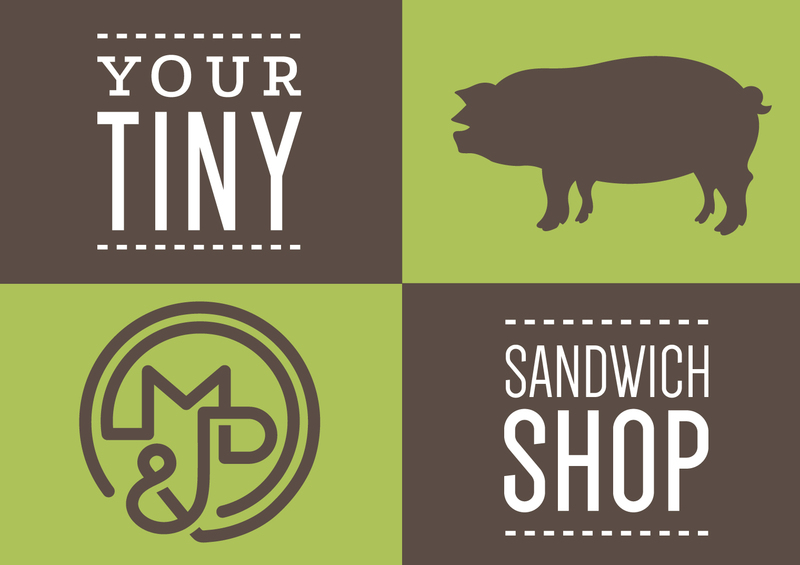 Boston’s Best Breakfast & Lunch Sandwiches! A Tiny Shop that packs a punch! Located in Historic Bay Village; centrally located steps from The Commons & Public Garden and right next to the Park Plaza Hotel and The Theater District. Recent features include multiple appearances on NECN’S TV Diner, WCBV’s The Chronicle, voted Boston Magazine’s Best of Boston in 2012 & 2014, featured by Yahoo! 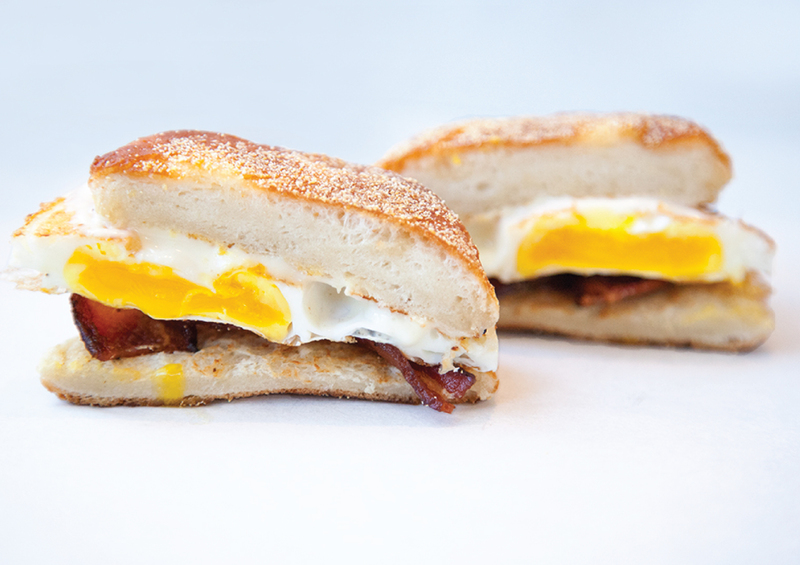 & Thrillist on their short list of “Best Breakfast Sandwiches in the USA” in 2015, and featured by Foursquare as the “Highest Rated Breakfast Sandwich in the USA” in 2016. Our most popular sandwiches include “The Fancy”, “The Breakfast Torta”, “The Goldmine” and the “Breakfast Grilled Crack”. 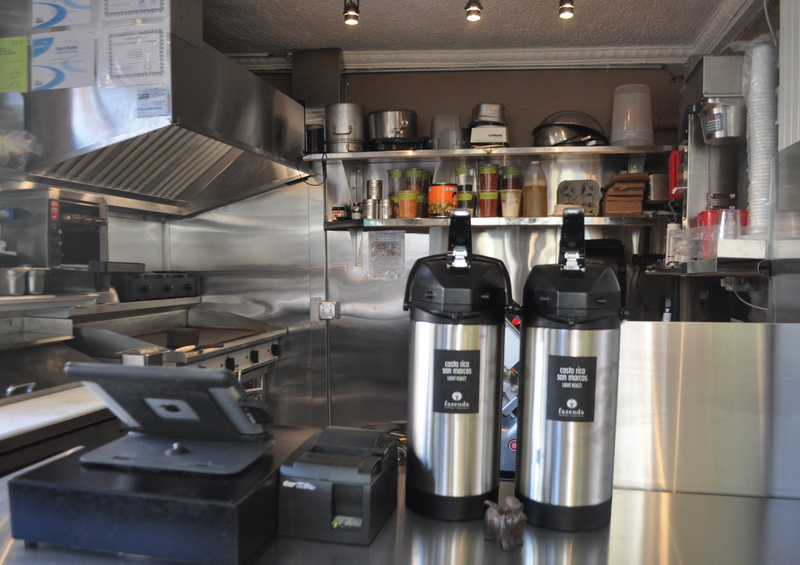 We proudly brew Boston’s best locally-roasted Fazenda Coffee! Started by eclectic restaurateur Michael Fitzhenry and co-worker Patricia Sinaiko, formerly of South End Formaggio fame; Mike & Patty’s has come to be known as one of Boston’s most unique, must-stop food shops. 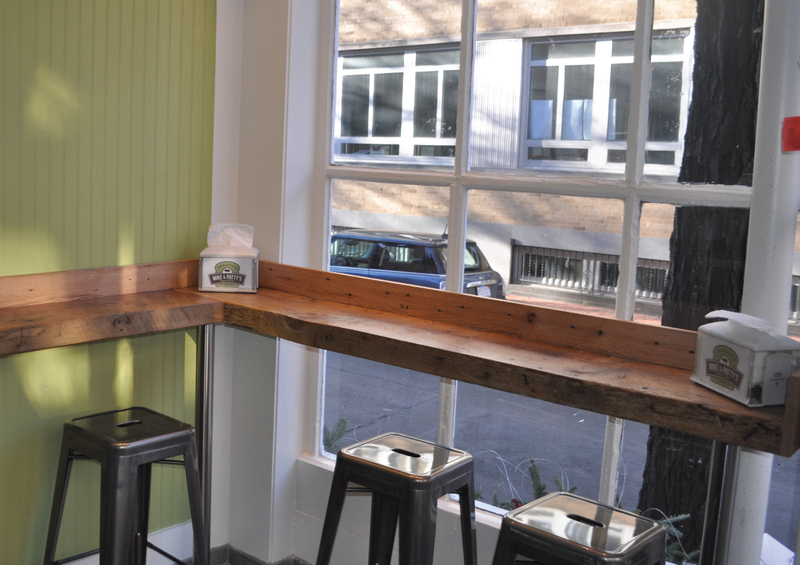 Acclaimed for a diverse, delectable line-up of breakfast and lunch sandwiches, the consistent attention from local and national media outlets is re-iterated by their outstanding ratings via Yelp, Foursquare, Google, Trip Advisor, etc. and the droves of regulars and tourists that can’t help but stop by each time they are in the city. Although the eatery only holds a hand-full of seats and is more diner-lite or food truck-plus than a sit-down restaurant, there are a half-dozen parks less than a five-minute walk away. Walking the streets of historic Bay Village feels like walking into an early 19th century oasis. 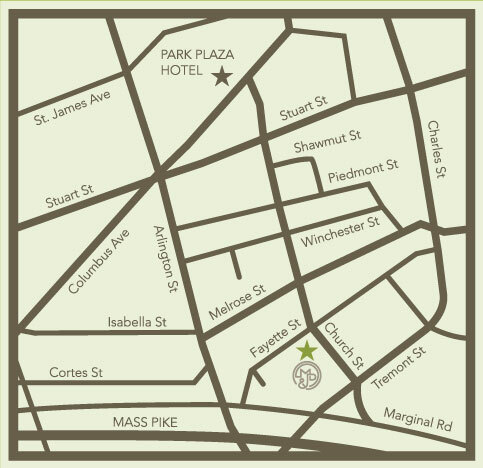 Just one block from The Park Plaza Hotel, Boston’s smallest neighborhood serves as the converging point for it’s more well-known neighbors; The Back Bay, South End, the Theater District and Chinatown.